The future of retail is quickly becoming a reality with more shoppers ditching trips to the store in favor of ordering groceries and other products from the comfort of their own home. Despite these changing preferences, one of the country’s latest retailers wants you to know that the physical store isn’t going anywhere. But the carts on the other hand — they’re toast. Target unveiled its idea for the future of physical retail stores this week in a holiday themed pop-up shop in Manhattan on Wednesday. 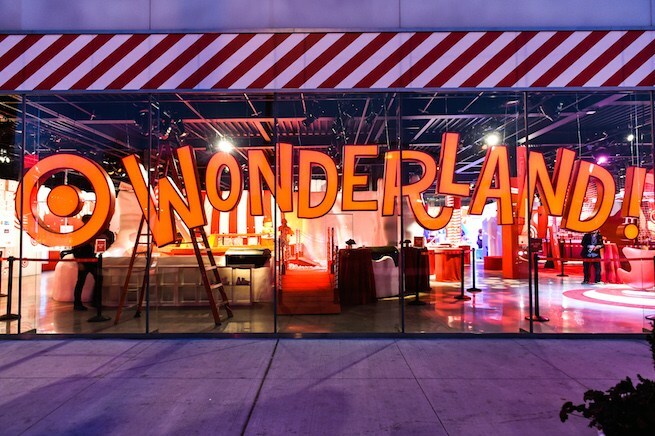 The 16,000-square-foot space is billed as “part store, part holiday playground,” and dubbed Target Wonderland. The building includes ten “spectacles,” which are essentially full on displays and renderings of rooms and other items made from toys. While the displays are no doubt eye-catching, the future part of Target’s business rests in the merging of physical and digital retail experiences at the temporary store. According to Target’s vision, shopping in the (not-so-distant?) future could mean guests will no longer be greeted by shopping carts when they enter the doors. Instead, at the concept store in Manhattan the carts are replaced with Radio Frequency Identification (RFID) enabled keys, which can be used to add items to a digital shopping cart by scanning the bullseye tag near the product. Once customers are done with their trip, they simply take their key to the front and purchase the items on their list. Target Wonderland is open 10 a.m. to 8 p.m. Monday to Saturday and 10 a.m. to 6 p.m. on Sunday through Dec. 22 at 70 10th Avenue in New York City.